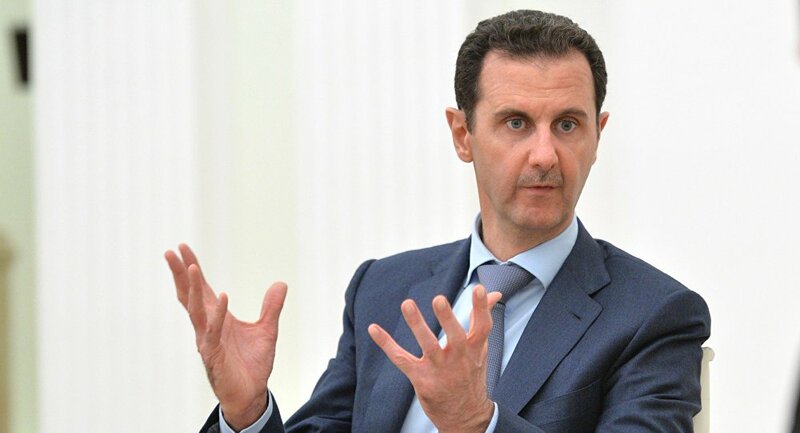 MOSCOW (Sputnik) - Iranian Defense Minister Amir Hatami arrived in Damascus for talks with Syrian President Bashar Assad, media reported on Sunday. The Iranian official's visit to Syria will last through Monday, the Iranian IRNA news agency reported. Hatami had been met by Syrian senior military officials, Iranian Ambassador to Syria Javad Torkabadi and Iranian military attache to Damascus Abolqassem Alinejad upon his arrival to Damascus International Airport, the outlet added. The visit comes in the wake of demands voiced by US officials, including National Security Adviser John Bolton, concerning Iran's exit from Syria. Iran, alongside Russia and Turkey, is the guarantor state of the Syrian ceasefire. In July, Iranian Supreme Leader's Top Adviser for International Affairs Ali Akbar Velayati said Tehran would be present in Syria and Iraq at the request of these countries' legitimate governments and would not leave despite the threats voiced by the United States. However, Iranian officials have repeatedly insisted role in Syria is limited to sending military advisors there to help Damascus fight terrorists.